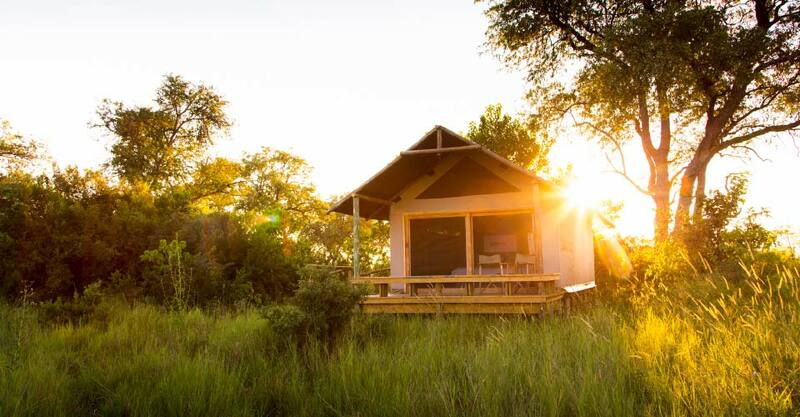 This deep immersion in the Botswana bush unveils a sparsely inhabited land teeming with wildlife. Behold the true essence of wilderness, protected by a conservation-minded country that leads the continent in habitat stewardship. An ancient landscape occupied by the San people for more than 100,000 years, today Botswana is a stronghold for elephants, home to Africa’s largest population of more than 130,000. Sprawling grasslands, deltas and savannas provide havens for endangered species like rhino and wild dog, plus a dizzying array of other wildlife that thrives within this mosaic of ecological diversity. Stay true to the terrain’s raw nature experience while taking refuge in traditional canvas camps that are exceptionally comfortable without extravagance. 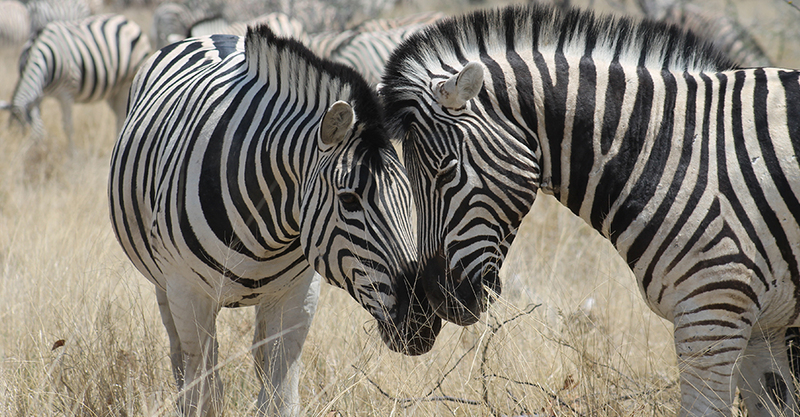 Explore a breadth of habitats on 4x4 game drives, bush walks and dugout canoe excursions. And when night falls, gather around the campfire to revel in each day's wonders, as a million stars glitter overhead and the calls of animals resound in the darkness. 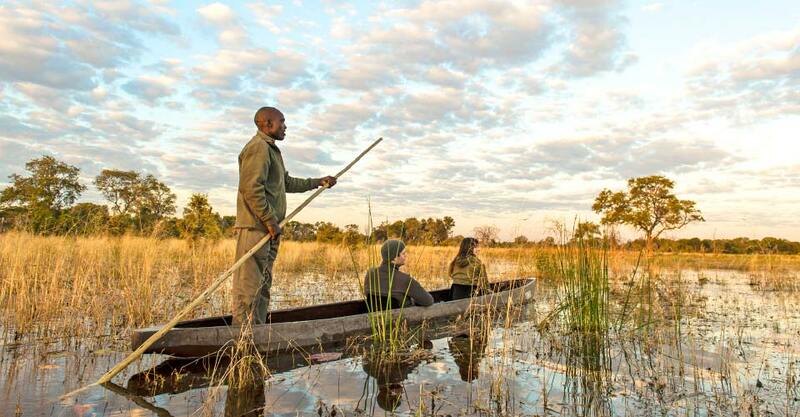 What's So Distinctive About this Botswana Safari? Our itinerary is carefully crafted to showcase varied wildlife habitats over just nine days. 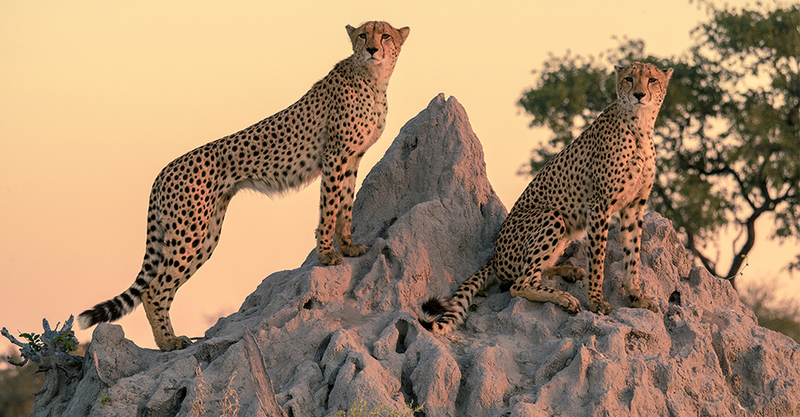 From the flooded marshlands of the Okavango Delta with its lions, leopards and elephants to the semi-arid savanna of the Kalahari Desert teeming with zebra and wildebeest, you'll find some of wild Africa's most impressive animal encounters. Private Reserves Get You "Out There"
Enjoy the advantages of remote locales and exclusive activities. Avoiding more heavily visited national parks, we concentrate instead on uncrowded private reserves. Our intimate tented camps are located in isolated settings amid abundant wildlife, which we encounter not only on traditional game drives, but also on guided bush walks and night drives in search of nocturnal creatures—activities permitted only in private contexts. We make sure you have access to an unimpeded view. 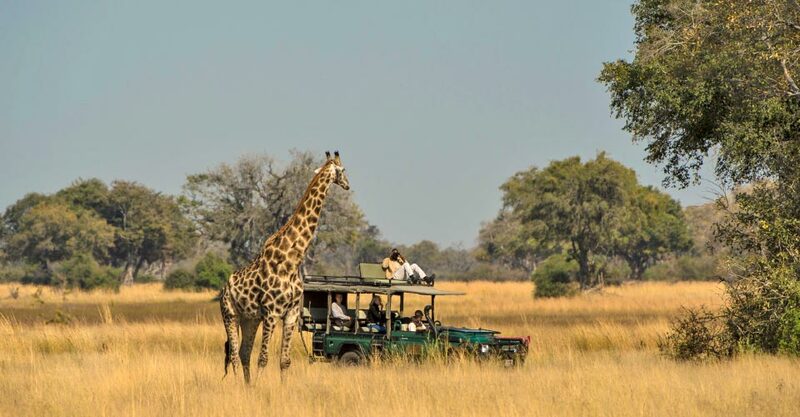 The top-quality safari vehicles we charter have open sides (no glass to interfere with your view) and nine cushioned passenger seats—one in front next to the driver, followed by two rows of three seats each and a pair of seats at the back. On wildlife drives, we limit our capacity to no more than seven travelers in each vehicle for maximum comfort, viewing and photo opportunities. A small group is essential for an authentic safari experience. With a maximum of just 13 guests plus our Expedition Leader, always divided into two vehicles, you'll share the sense of being alone in nature with wildlife. Natural Habitat Adventures offers an exclusive guarantee, which states that we promise to meet the lofty expectations we set forth in our promotional materials. To our knowledge, this is the most ambitious guarantee made by any adventure travel company. Read our important promise. 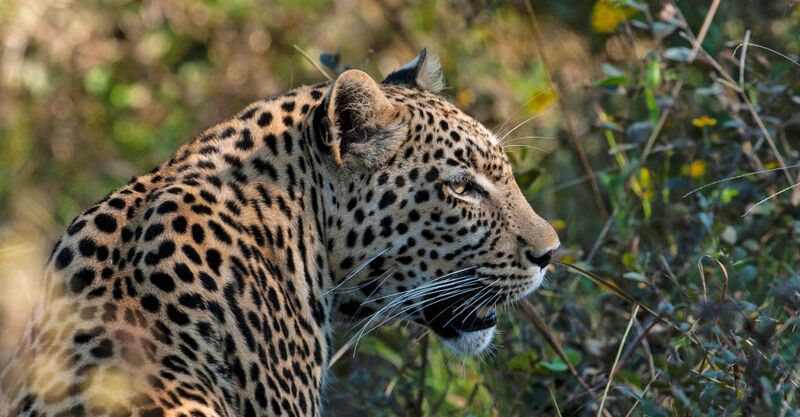 Fill out the form below to receive additional information about our Botswana Explorer. Hi Nat Hab, I’m interested in your Botswana Explorer. Can you please contact me with more information?